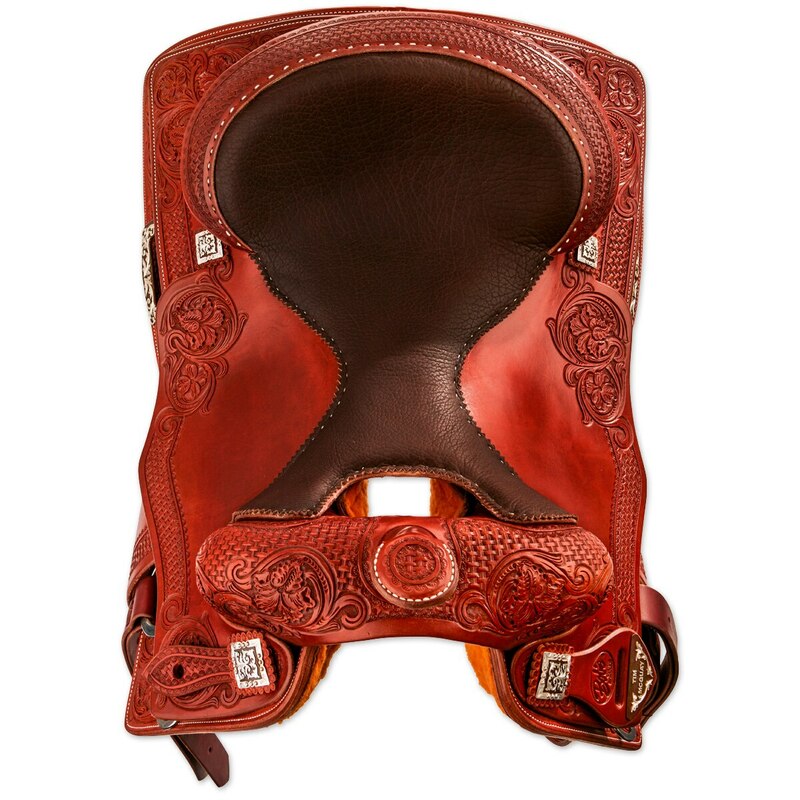 This Bob's Custom Saddles Tim McQuay reiner was designed and is ridden by multiple NRHA Futurity and Derby Champion, AQHA World Champion, and NRHA Three Million Dollar Rider Tim McQuay. 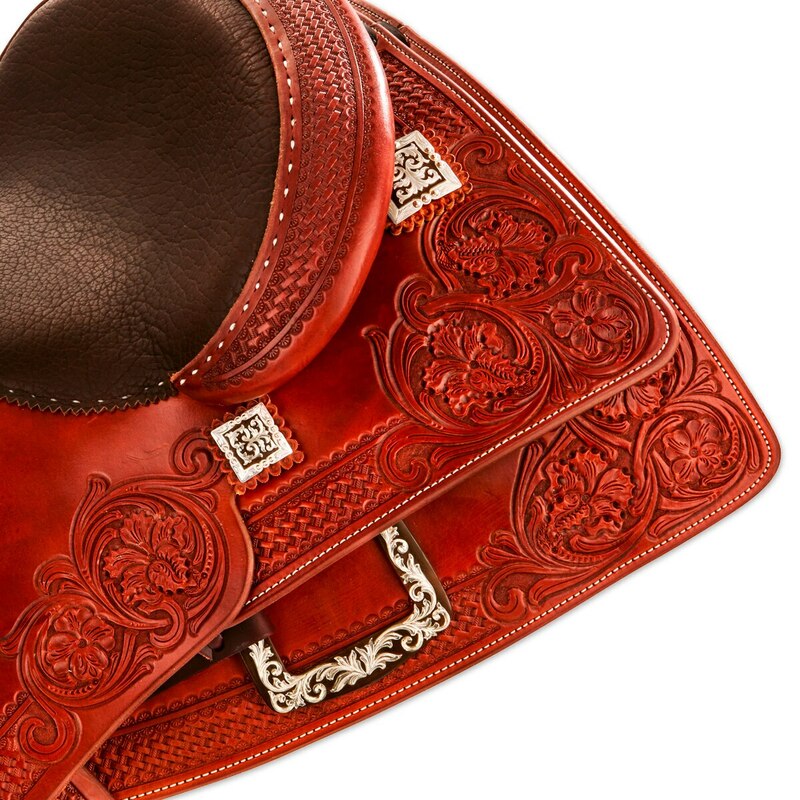 Created with input from McQuay, this square-skirted reining saddle was designed for a close-contact ride that starts from the tree and ground seat to the fender and skirt with built-in leg cut. 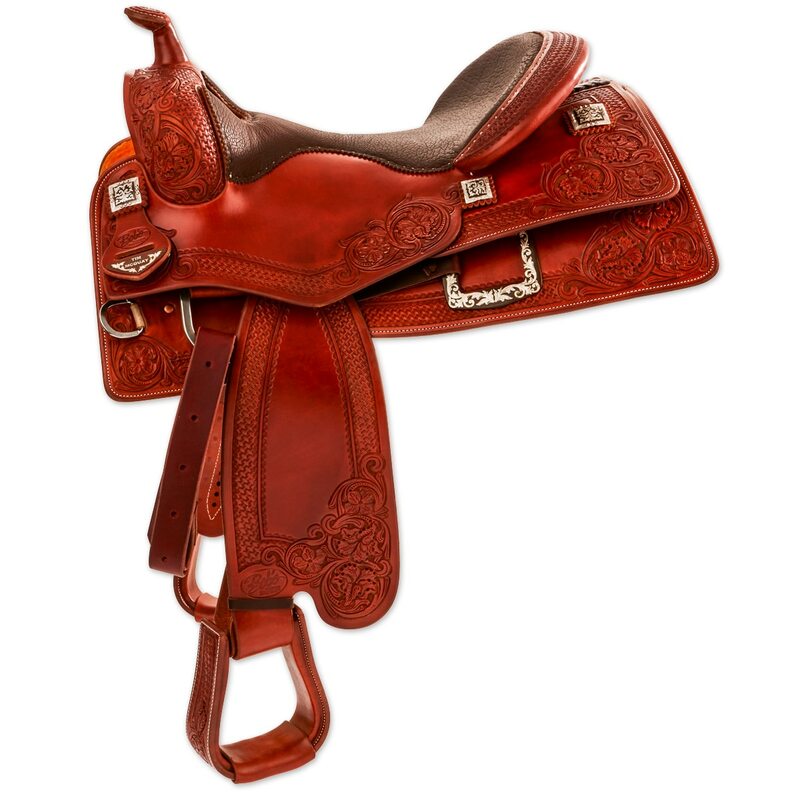 This saddle features an 8 1/2" BW front swell and a single-padded high rising Tim McQuay seat with a 3 1/4" cantle for a deeper seat. 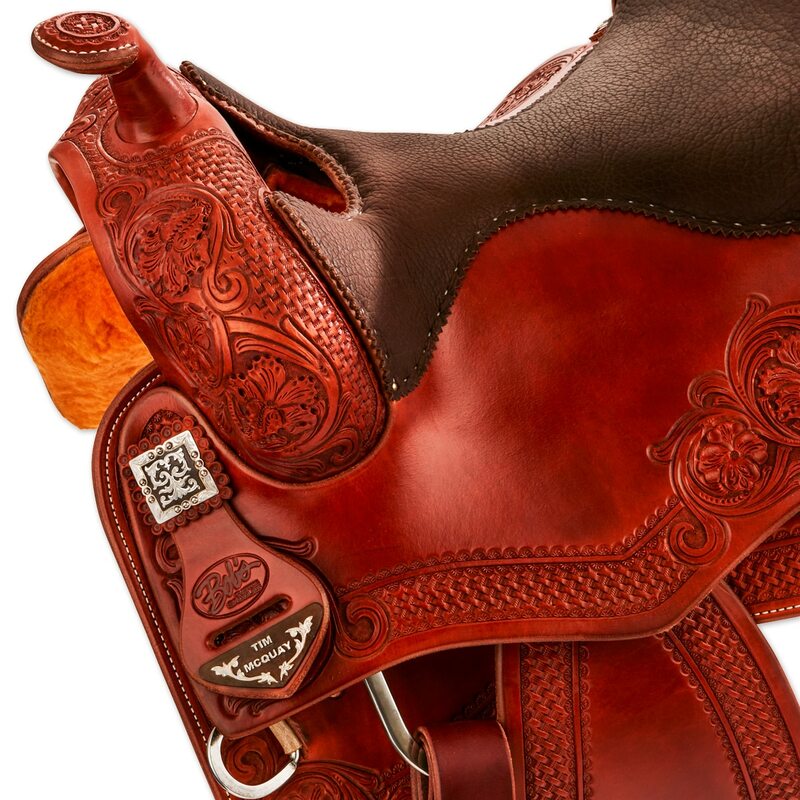 This saddle isn't limited to reining, it also can excel in cowhorse and ranch versatility events.